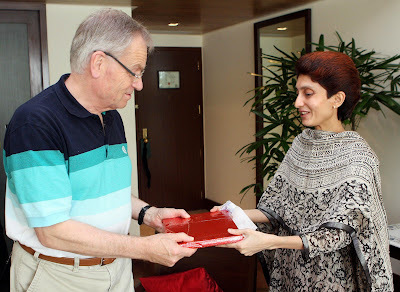 " Congratulations Sujata, you are the winner of Jeffrey Archer contest. You will be meeting Sir Jeffrey Archer in person at Trident, Mumbai and you will receive an autographed copy of 'Only Time Will Tell' as a prize from EBay." This is just a tip of an iceberg and a chip off the old block - mother's version about my winnings. Since time immortal my mother kept on reciting to me stories of Mahabharata, Ramayana as well as Dadayana. Dadayana means my father-Dada's glorious achievements as a student / social activist / inspector / publisher / editor / founder and philanthropist. My mother, my first Expert in motivation, inspired me to be a Winner. "Like Father, Like Daughter" , mother used to remind me whenever I was depressed from a setback. She used to bring me back on the right track, if and when I suffered a failure. Her reasoning to move on and forget the fall is : this is a trifle, you must aim higher as per your standard. I was in 5th standard and already addicted to tea. All uncles and aunts in our huge joint family kept on guzzling cups of tea throughout the day. I loved to have my share of caffeine with all of them. My mother tried to get me off tea but in vain. One day, I returned home with an exciting news from school. Our teacher Ms. Joshi had given us a glimpse of a glossy, superbly illustrated, fluorescent-covered, 'The Kingdom of Fantasy' story book and promised it as a prize to the First-ranker. I was totally charmed by that magnificent story-book. I wanted to read and share it with my sisters and friends. 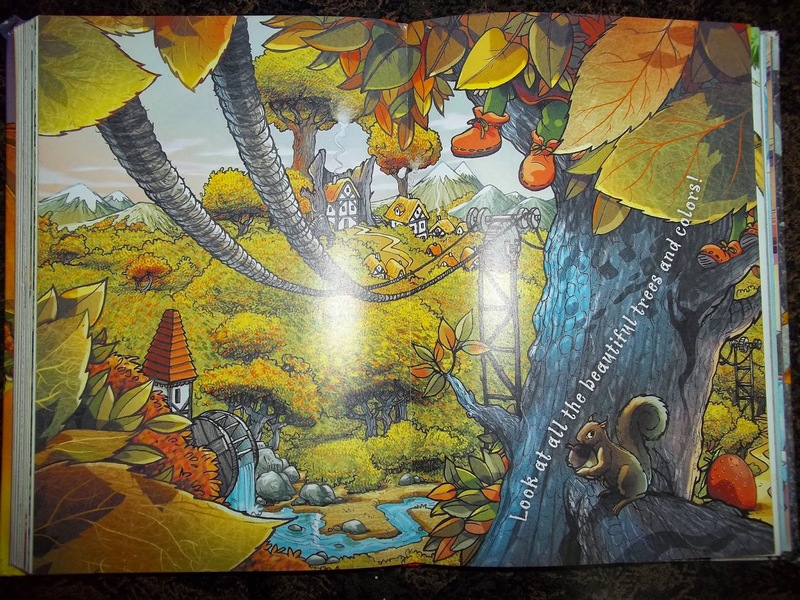 At the night, when I snuggled up to mother and wished to have that treasure of a book. My mother said, "Sure, you will have it cause you want it with all your heart". You are a very intelligent girl so to achieve the 1st rank is easy. You have to eat lots of fruits, fish and drink milk instead of tea. Your body and brain both will be strong and super-active with protein-rich diet. Just imagine, within a month you will be reading 'The Kingdom of Fantasy' and admiring the marvelous pictures from that prize-book." Wishing for a story book is fine, OK, but replacing that nectar of a caffeine-rich, sweet, cardamom-flavored Tea with insipid, white milk was a whole new ballgame. Next morning, my mother made me drink milk by adding BournVita. I gulped that awful drink with tightly shut eyes and pinched nose. 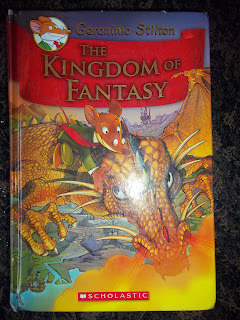 Since then, I ate apples, drank Bournvita-milk, studied a lot and played little less for winning my 'Kingdom of Fantasy'. My uncles and aunt chipped in by teaching me maths, which was the hardest hurdle in getting the 1st rank. I hated maths so I did not like to study it and got less marks resulting I hated it even more. This vicious circle separated me from the 1st rank. That's a superb story Sujata and many congratulations receiving a signed copy from Sir Jeffery Archer is a huge achievement. Dear Shweta , Thanks for your wishes. I will always cherish that moment of meeting Sir Jeffrey Archer and receiving an autographed copy. Thanks Maniparna. My mom is the most wonderful person and I am sure your Mom is in the same Supreme-League . Wow..... Nice read!!! Congratulations for receiving a signed copy from Jeffery Archer! Thanks Bhavani for the appreciation. It was a dream come true ,to meet Sir Jeffrey Archer. Thanks Prabal for the Wishes. Congrats on the prestigious award! And yes, moms r so amazing! Thanks Shaivi. Absolutely, the opportunity to meet legendary Sir Jeffrey Archer was the most prestigious award in itself. Let's cheer for all the moms. Let me share your joy, Sujata. Congrats. Congratulations, That is really a very big achievement , I am happy for you . Aunt Mary , Thanks a lot for your wishes. Exactly , Mothers are Always ...Great .. all over the Universe . Thankyou for voting for my post Sujata, at Indiblogger. Also I am happy to have discovered a great blogger in turn. Very inspiring post and I feel this makes a great entry for BA's activity. ATB and hoping to see your comment/criticism at my posts too..
Just wanted to check out one of your blog-post and Guess what ? Got so enchanted with the very first post , that I lost the sense of time and continued reading till I reached the 10th post. You are a very rich, artistic WordSmith. Would love to meet you at the BloggersMeet soon. Great anecdotes from real life. Mothers are great motivators. Alas! We ignore them as trite. That's a great story of your mother being around to help you achieve what you have. Congratulations for your achievements! Thanks Usha. I will always do my best , with your warm wishes. Cheers to all of us Daughters and Sons for having Super-Mothers. Yes Abhijit, I do love to share my real life experiences as they are so entertaining. Mothers are Great Motivators and best confidantes . Hi Alok , I am glad that you liked my story. My mother was and will always be the equal partner in my Good Karma . Right Rajeev. My mother knows so many things ... She is the First & the Last Expert in numerous fields. Thanks for promoting my post on Indiblogger. I'm ever grateful for all your encouraging people! And is that Jeffrey Archer? I am such a fan!!! Congratulations. And yes, mothers are the best. We're nothing without them. Now that I'm a new mom myself, I realize all the more how right she was about everything. You and your article deserve it. Thanks, S Maliyekal . I am grateful for your appreciation. Congrats.Mother is the precious gift in our life. Thanks Sri Kri . Each & Every Mother is God's incarnation . As is the mother, so is the daughter. Congratulations Sujata . Keep it up. Sri Kri, Thanks for your Wishes. You are right , Mothers are the most precious gifts for us. Good Noon , Dr. Sandhya. Welcome to Spirit Of Mumbai. Thanks for your warm wishes. Congratulations Sujata... That meeting with Sir Jeffery Archer must have been something. I remember getting hooked to his genre with Matter of Honour that I read way back in class 9 . I still love his stuff. Awesome.